Everyone is familiar with that feeling of dragging your half-asleep body out of the warm, cosy bed at 6 am because you’ve got to get ready for an early meeting at work or drop your kids at school. You step into the shower and it sprays icy cold water right into your face. Uh oh. Your boiler isn’t working. Your doctor told you to get more iron, but drinking rusty red gunk instead of water from your tap is probably not a good idea. Your boiler isn’t working. Now, unless you are an experienced Gas Safe Registered engineer, we don’t recommend putting in elbow grease to try and fix these combi boiler problems yourself. It’s always better to be safe rather than sorry, so please call your plumber or a boiler repair company, or the boiler manufacturer and they will send an engineer. However, if these combi boiler problems keep repeating themselves, it’d be a much better idea to replace your combi boiler. With over 40 years of engineering expertise in all types of boilers, we’ve picked up a thing or two about how a combi boiler works, and when they don’t work. This blog post is an attempt to help you diagnose some of the most common combi boiler problems and suggest solutions. PLEASE NOTE: Try not to fix complex combi boiler problems yourself, unless it’s a simple fix like topping up water pressure or defrosting a frozen pipe where you don’t have to fiddle with a gas connection. For anything else, best call a professional Gas Safe registered engineer. If you’re not careful, you may be fined heavily or even face prison. To see a detailed explanation with diagrams and whatnot, please click the following link to read our post: What is a Combi Boiler. The combi boiler first made its way to the UK in the late ’70s. Over time they’ve evolved into highly efficient devices which take minimal space and give you instant access to hot water and heating 24/7. You don’t need to install any storage tanks or hot water cylinders in your house either, so your attic and airing cupboard space is freed up. 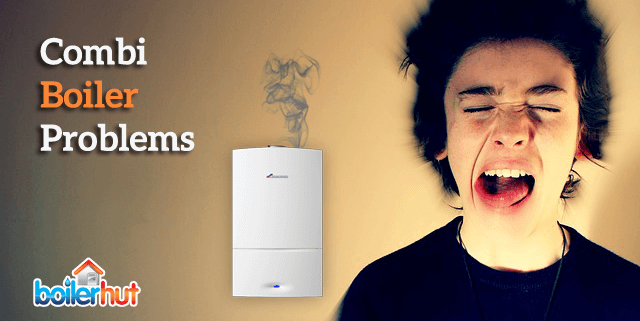 Combi boilers are also incredibly reliable and a lot of simple combi boiler problems can be fixed by homeowners themselves by exploring the operations manual provided by the boiler manufacturer. These days they’re no more complicated than your TV remote. Let’s dive in deeper into some common combi boiler problems. 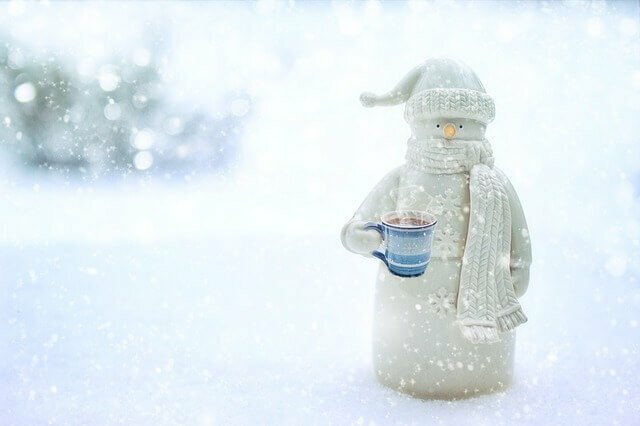 If your heating stops working in the middle of winter, you feel a bit like that snowman, don’t you? If your radiators aren’t getting hot, even if your hot water is working, despite the thermostat telling you otherwise, check if the thermostat hasn’t run out of batteries. Depending on the controls you’re using, it should flash up with a battery symbol, or display a flashing light on the receiver unit at the boiler. Solution: Just like your TV remote, replace the batteries; as simple as that! 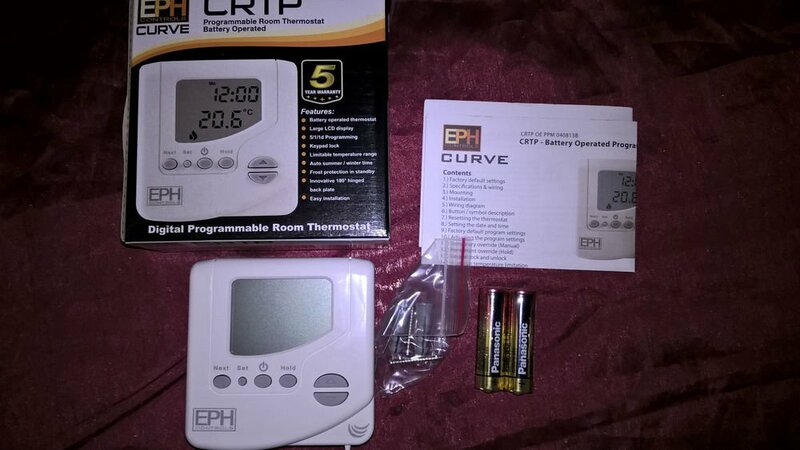 Thermostats usually require two AA batteries, not the AAA that go into most TV remotes. If you can remove and replace them within one minute, your time and temperature settings should be saved. You don’t need superhuman reflexes, one minute is plenty of time. Just take a deep breath and don’t panic. If you’re clumsy like me and can’t do it within one minute, you will have to reset your settings. The positive part is at least you will have practice in setting up the temperature again! This won’t necessarily be part of combi boiler problems, the thermostat just needs battery monitoring as any other battery operated device. 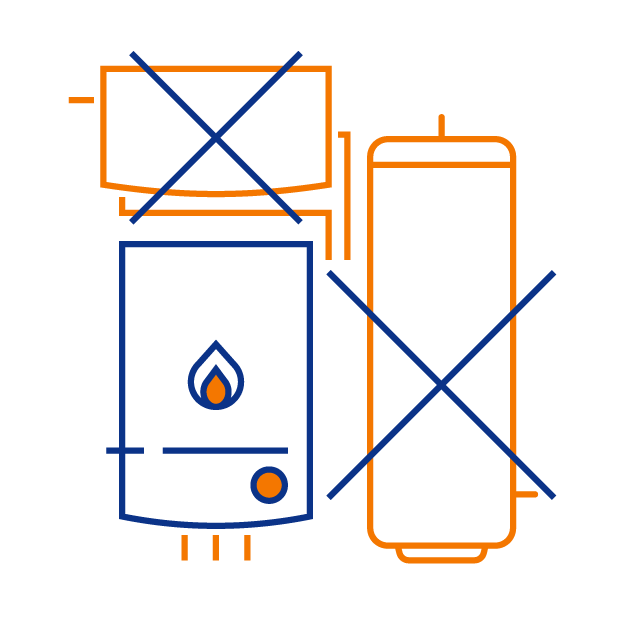 Whether your combi boiler runs on Mains Gas, LPG or Oil, it’s a good idea to check the connections, along with electric and water connections too. Often times your water supply may have been accidentally switched off. If you’ve had a powercut, once the power comes back, some boilers revert to factory settings, so you may need to check the settings and make changes accordingly. If none of the above have happened, and your boiler has a reset switch, often times simply resetting or restarting the boiler can solve the issue. If you use a clock/timer on your boiler or program it to come on at certain times, it may not keep track of daylight savings time and forget when the clocks go back or forward. So, if you’re using a timer, it’s important to set it correctly for the hot water to come on at the correct time. The way a combi boiler works is the primary heat exchanger does the heating for your home, and when you call for hot water by opening a tap, it diverts the water through a diverter valve to a secondary heat exchanger which heats your water. If your central heating is working but there is no hot water, the diverter valve may have stopped working. Apart from the possible reasons above for combi boiler problems around hot water, you could also check your water pipes for airlocks. Sometimes your combi boiler’s pressure will fall to around 0.4 bar or lower. At which point the combi boiler won’t start up and will probably lock-out. It might also show error codes. This is a fairly simple fix in most cases, but you might also want to check for leaks in your radiators, pipework and safety valve. Solution: Find the filling loop (underneath on most boilers, or standalone, it depends) and turn the tap in counter-clockwise direction. The boiler pressure should start to rise, and you should turn the tap clockwise again when it reaches around 1.5 bar. If this is a recurring issue, it’d be a good idea to contact a Gas Safe Engineer. 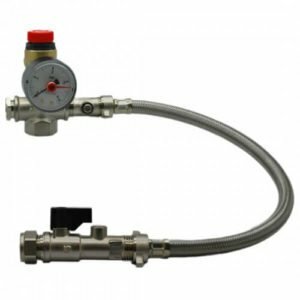 Combi boilers have what’s called a Flame Supervision Device or FSD. This is just a safety precaution or a fail-safe measure. If it senses that it has no gas, it will switch off the boiler. In this case, check if gas is going into the boiler. You can check if your hobs are working. 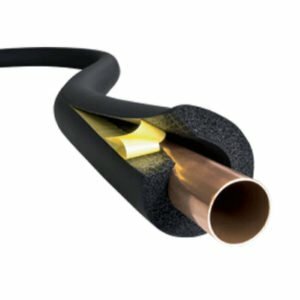 PLEASE BE AWARE: Do not open gas pipes yourself or check connections without the proper devices. Always call a Gas Safe registered engineer for that. Condensing technology made its way to boilers in the last decade or so. It’s an ingenious way to achieve high efficiency (94% and above on modern boilers) by condensing water vapour in the exhaust gases and so recovering its latent heat of vaporisation, which would have been wasted in non-condensing boilers (older than 12-15 years or more). This condensed vapour leaves the system in liquid form through a condensate pipe into a drain. 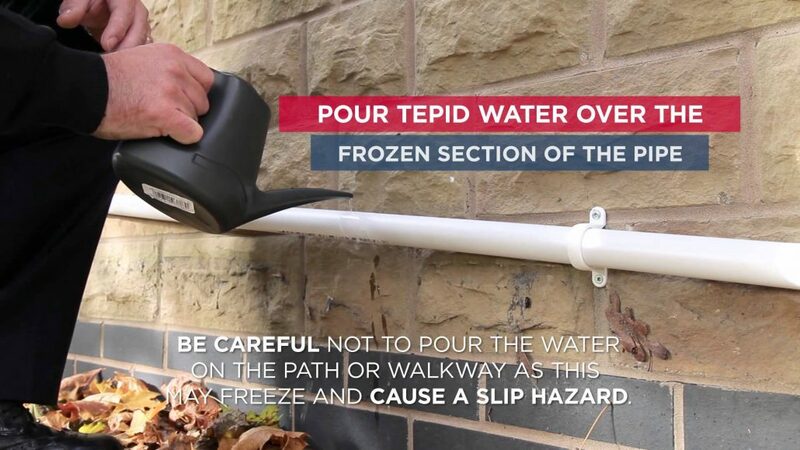 So, if it’s freezing outside, with visible frost, and your combi boiler is refusing to come on, it could mean that your condensate pipe is frozen or blocked. Solution: Fairly simple. Put on some warm clothes, take a kettle of hot water (not boiling) with you outside. Locate the condensate pipe, pour some hot water on it to thaw it out. Once you’re done thawing, remove the condensate pipe below the boiler and drain to a bucket. That will usually fix the problem. For future proofing, consider asking an engineer if they can put in a Type-O insulation on it (pictured below). A more expensive alternative is to retro-fit a condensate trace heater, which is an overkill in many cases. As technology evolves, appliances improve 10 times as much over their predecessors, sometimes in a couple of years. Modern condensing combi boilers now are a lot more reliable and efficient than they were 10 years ago. Combi boilers older than 12-15 years were non-condensing boilers, which started off at lower efficiency compared to condensing boilers, and drop even further in efficiency over time, typically to 70% or even 50% efficiency. They also operate at 30 KW all the time, using gas even when not needed. Whereas modern combi boilers are condensing boilers, and modulate temperature automatically, getting the work done between 5 KW and 30 KW, saving you a ton of your hard earned money on energy bills. If you’ve got a decade (or two) old combi boiler chugging along, costing you money for frequent repairs and low efficiency because of combi boiler problems, wouldn’t you be better off replacing it with a modern, condensing highly efficient boiler that comes with a 7-10-year guarantee? BoilerHut works with high end brands such as Viessmann and Worcester-Bosch. 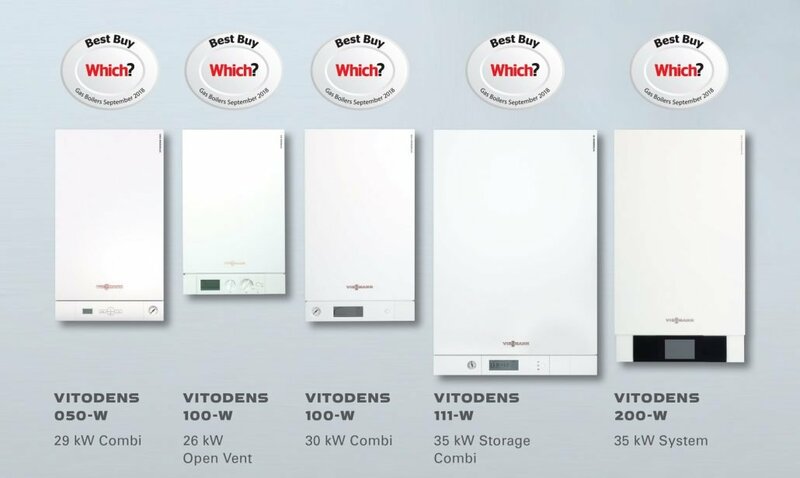 Both of these brands ranked top 2 in the “Best Buy” category for boilers in the UK in 2017 and 2018 from 300+ boilers tested by a prominent consumer magazine. Viessmann have been the world leaders in the commercial heating and renewable energy space for a long time, and have brought that expertise to the residential boiler market. Their boiler technology and high quality internal components are probably the boiler industry’s best kept secret. From a free, no obligation online boiler quote within minutes to complete boiler installation in a few days, let Boilerhut make your central heating easy for you.